Arkansas Country Doctor Museum > James Webb, D.D.S. James W. Webb was born on October 6, 1878 and spent his childhood in the little town of Stern Creek in Rankin County Mississippi, the son of German H. and Lula Hasty Webb. He was a child from a large family where there were six brothers and one sister remaining even at the time of his death. 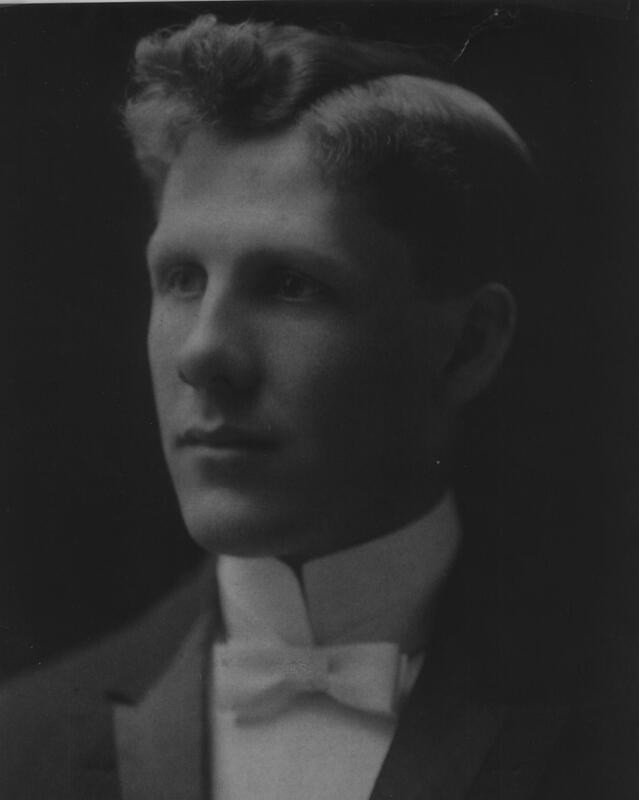 In 1906 he enrolled in the Louisville Dental College and two years later, 1908, he graduated at the age of 30. Immediately he became licensed in Mississippi, then in Arkansas in 1909 and in Oklahoma in 1911. He practiced his profession in various sites in Arkansas and Oklahoma before settling in Prairie Grove, Arkansas. In that year, 1912, he bought property on the town’s major thoroughfare and set up his lifetime office to serve the people in the growing area of the northwest corner of the state. On July 19, 1915 James married Joy Nelson, daughter of Dr. T. E. and Alice Murphy Nelson of Brighton, Tennessee. The couple built a house on the same large lot Dr. Webb had bought for his ofﬁce. (Many years later his office became the location of Prairie Grove’s Chamber of Commerce.) The couple had no children. Joy Webb was active in the Washington County Historical Society and was owner and publisher of the Prairie Grove Herald. The Webbs were well known in the community. Dr. Webb was interested in farming and bought 340 acres of pasture, woodland and cultivated acreage. To use it to the fullest he contacted the Washington County Agent and worked with him on a Conservation Plan. Dr. Webb became ill a few months before he entered Barnes Hospital in St. Louis and had his ﬁnal surgery. He died there a week later on September 25, 1945. He had practiced dentistry for 37 years, serving the people of Prairie Grove with care. Superb faith, he had a sense of values and the dollar mark did not represent high standard of success. Hypocrisy and show he hated wherever he saw it, and he had a keen eye. A warm friendliness coupled with common sense and a sense of humor bound people to him. His heart and life were in his home and community and he wanted so much to live longer”. Joy Webb, his wife, sent his dental equipment to a Presbyterian mission in the Belgium Congo.